sorry for the lack of posting lately, but being almost 7 months pregnant takes up more time + energy than i expected! =) between prenatal yoga classes, childbirth classes, painting the nursery, + getting furniture ordered, in addition to devoting much-needed time to my job + family/friends, i haven’t been cooking + baking as many new recipes lately. i’m still spending lots of time in the kitchen, but i’m mostly cookin’ up my favorite time-tested recipes, lots of which have already been featured here. 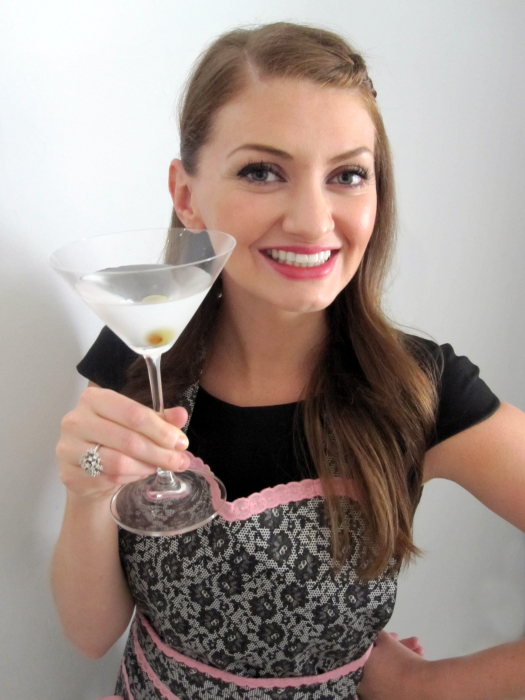 but fear not, i’ve got some fab new recipes to share with you over the next few weeks! this past week, i volunteered to bring a snack to our weekly childbirth class. while i was tempted to bring something uber-healthy, i noticed in past weeks that sweets tended to be better-received by the crowd than healthy veggie platters and such. 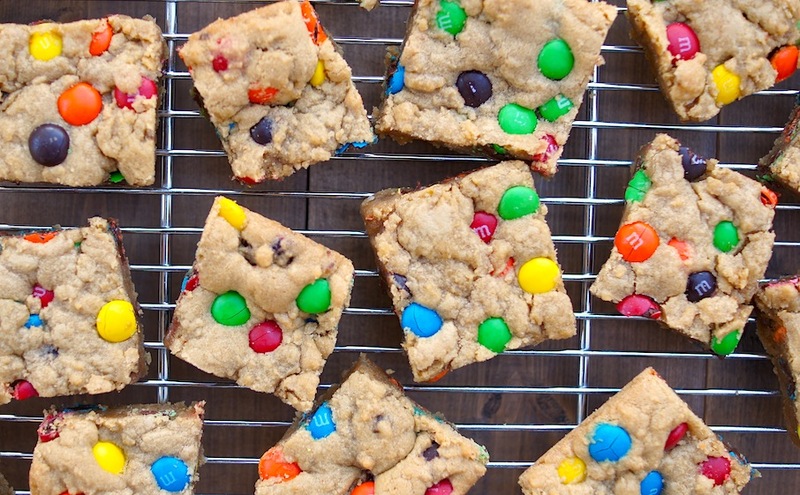 give the people what they want, i thought, so i made these decadent yet easy-to-prepare M&M cookie bars. + I’m sooo glad I did. while they took mere minutes to prep, they tasted out-of-this-world delicious. 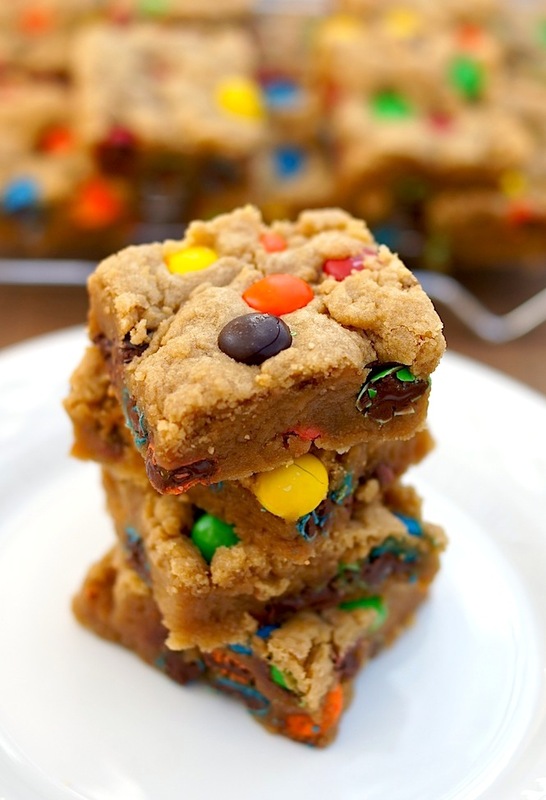 they’re rich, fudgy, buttery bars with tons of deliciously melty M&Ms packed into every bite. *swoon* so, if you’re looking for a simple, yet super-tasty dessert to feed a crowd, give these amazing little bars a try! preheat the oven to 325 degrees. adjust the oven rack to lower-middle position. grease a 9×13 pan + set aside. in a medium sized bowl, whisk together the flour, salt, + baking soda; set aside. in a large bowl, beat the butter + sugars until light + fluffy. add the egg, egg yolk, + vanilla + mix well. using a rubber spatula, fold the dry ingredients into the egg mixture until just combined; do not overmix. fold in 1 cup of M&M’s + turn the batter into the prepared pan, smoothing the top with the spatula. sprinkle the remaining M&M’s on top + press in slightly. bake 25-30 minutes, until the top of the bars is light golden brown, slightly firm to the touch, + edges start pulling away from sides of pan. cool completely before cutting. I have them in the oven! Attempt 2. They look really good so far… before I put them in I mean. I have the timer set, about 23 minutes left. I know you already have seen my blog, so I am going to just post what happens on it tomorrow. Hopefully I don’t mess them up again! thanks! Awesome, I’ll take a look on your blog today + see how they turned out! Best thing I’ve ever made and put in my mouth! Be careful these are sinful! I’m so glad you liked ’em, Nikki! just made these and they are quite delicious! I only used 2 cups of flour because after I added that it already seemed so thick. They came out great. I’m so glad you liked ’em, Meg! These are absolutely amazing, thanks so much for this fantastic recipe!!! That’s awesome to hear, Joyetta – so glad you liked ’em! Aloha Fearless Homemaker! This is the 4th time I am baking these, because they are just so yummy. I had a lot of sixlets candies, similar to M&Ms, so I used that instead. I added some cocoa powder, and have used Hersheys choc syrup which is good too. The timer just went off.. so I am off too… Mahalo from Maui Hawaii…..